This new Ford, Mercury and Lincoln recall pertains to the Crown Vic, the Grand Marquis and the Town Car from the 2005 through 2011 model years. In these vehicles, the lower intermediate steering shaft could rust so badly that it could break and when that happens, the driver will be unable to steer the vehicle. The lower intermediate steering shaft is a portion of the steering column that connects the steering wheel to the power steering rack and when a portion of the steering column fails – all ability to direct the car is lost. To prevent this issue, Ford Motor Company is recalling the 2005-2011 Grand Marquis, Town Car and Crown Victoria sedans to inspect the lower intermediate steering shaft. Should the dealership technician see signs of advanced corrosion on the steering assembly, a new lower intermediate steering shaft will be installed. Ford doesn’t go into any detail as to what is special about the replacement part that will prevent the problem from just happening again but a heartier coating of rust protection will probably be more than enough to keep the steering system in tip top shape going forward (and turning!). The recall pertains specifically to vehicles sold or registered in “Snow Belt States” – where corrosive road salt is used to help prevent icy driving conditions. Those regions included Connecticut, Delaware, Illinois, Indiana, Iowa, Kentucky, Maine, Maryland, Massachusetts, Michigan, Minnesota, Missouri, New Hampshire, New Jersey, New York, Ohio, Pennsylvania, Rhode Island, Vermont, Virginia, West Virginia, Wisconsin, Washington DC and parts of Canada. However, owners of the affected vehicles in other regions who are concerned about the structural integrity of their full sized Ford sedans steering system can make an appointment at their local dealership to have the vehicle subjected to the same inspection as those vehicles located in the target areas above. “Customers located in other states who routinely operate their vehicles in one of these areas, or customers who have concerns regarding their steering, will also be able to have their vehicles inspected and repaired if necessary,” stated a Ford representative in an email to the Detroit News. In total, there are roughly 370,000 Ford Crown Victoria, Mercury Grand Marquis and Lincoln Town Car sedans included in this recall with 355,000 in the United States while the other 15,000 are in Canada. It should be noted that not all of those vehicles will show signs of the severe corrosion – especially those that have not faced much road salt since hitting the road. 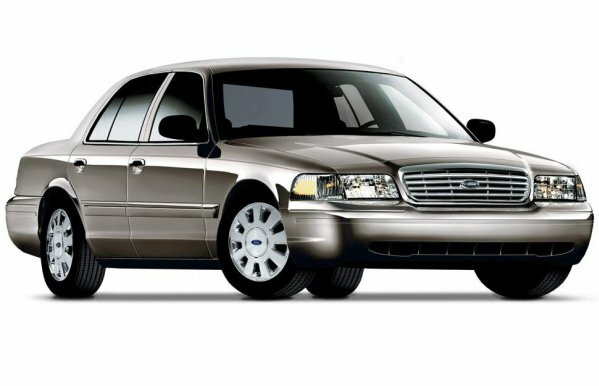 The good news is that Ford Motor Company is not aware of any accidents or injuries relating to this possible steering problem in the Crown Vic, Grand Marquis and Town Car but with a fair amount of potential risk – the Detroit automaker is making the right move in recalling these vehicles before any injuries can occur.